Who Hates Aldous Huxley’s First Wife? Today we had a lovely London Historians outing to the Watts Gallery and Watts Cemetery Chapel in Compton, Surrey. I’m hoping other members of our group will write about it the main attractions of the day. 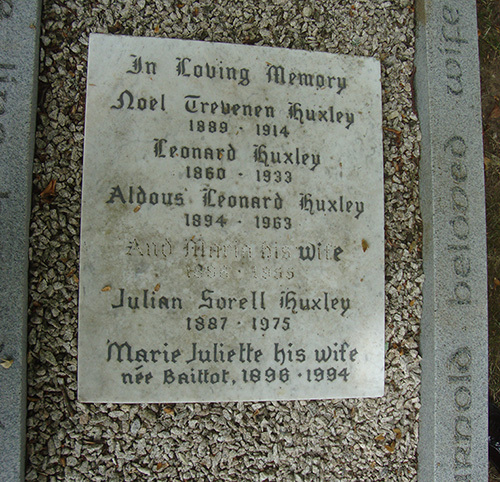 In the cemetery itself is the family grave of the Huxley family, as in Aldous. It’s the last resting place of the author himself, he having died in the USA in 1963 (22 November, same day as JFK). Look at the writing below Huxley’s name. You can barely make it out. But it says “And Maria his wife, 1898 – 1955. ” Someone has deliberately removed the metal inlay, someone presumably not a fan of Maria Nys, Huxley’s first wife. Does anyone know the reason? Or have a theory? Update: Two of our Members have done lovely write-ups of our outing, completely different perspectives, and both with beautiful photos (mind you, hard to fail, given the subject matter!). Caroline Derry here. 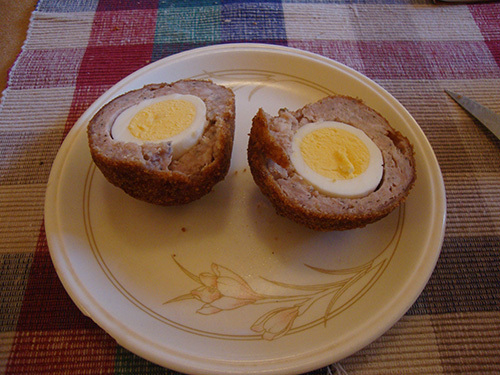 (follow this excellent blog). And novelist Wendy Wallace here. (buy her new novel The Sacred River!). And finally we get to the main reason for our trip: Tina tells us about the Frank Holl exhibition. 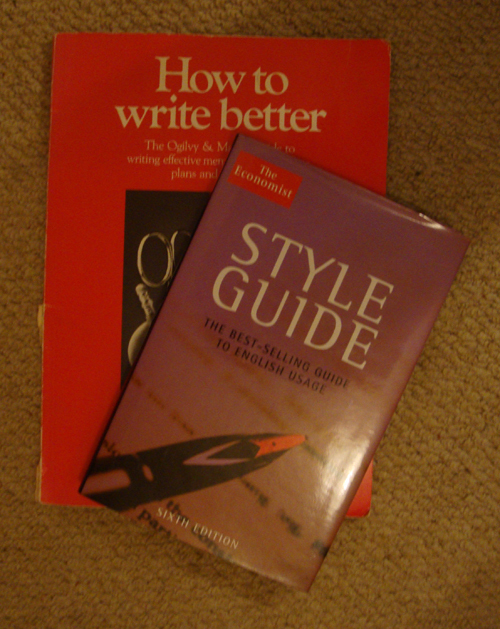 Every few years or so, I sense that my writing has been deteriorating, and I return to a good style guide for a thorough detox. So highly do I rate these self-help books, that I have none in the house. The reason for this is that at some time I have lent my copies to friends and we all know what happens when you lend your books. The most cherished of these were The Economist Style Guide and the advertising agency Ogilvy & Mather’s in-house book, which was given to me by a friend who once worked for them. It was quite superb and very amusing – a grievous loss because it cannot be replaced. The excellent Economist book has always been on sale to the public, so I shall have to buy a replacement soon, possibly for the second time. It seems that the Economist had its style guide online until just recently. Their web site states that it was recently “lost” when they rebuilt their web site, but will be back soon. The Guardian has a style guide, but I can’t find one online. Their printed version is for sale. The Telegraph does have a comprehensive house guide online. I understand that it was mostly – possibly wholly – compiled by their erstwhile columnist, Simon Heffer. It’s a good and useful read, quite in contrast to Heffer’s recent book Strictly English, which I found really turgid, bad tempered, and impossible to finish. What I like about style guides is that the good ones are both educational and entertaining. On the one hand they help you avoid error and improve sentence construction etc. But because much of what they say is inevitably subjective – doctrinaire even – they can both strengthen your prejudices (in a good way, I like to think) or induce indignant disagreement. That’s the entertainment value. Do you have a style guide to recommend? Please let us know. O frabjous day! Callooh! Callay! A dear friend, reading this, realised that he had my lost style guides, buried beneath a pile of his Open University books. Being an honourable fellow (else I would not have lent them to him in the first place), he immediately fessed up and the prodigal tomes arrived in the post today, with a sheepish note. This is a venerable pub in Fleet Street. 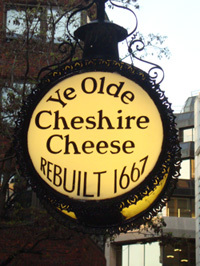 Built in 1667, it was a popular watering hole of Johnson, Boswell and countless writers and journalists down the centuries. It hasn’t been spoiled, that is to say, modernised. No piped music, fruit machines, televisions. The restaurant is well-run, food is good and reasonably priced and as for the price of a pint: £2.20 for a pint of Sam Smiths. What’s not to like? 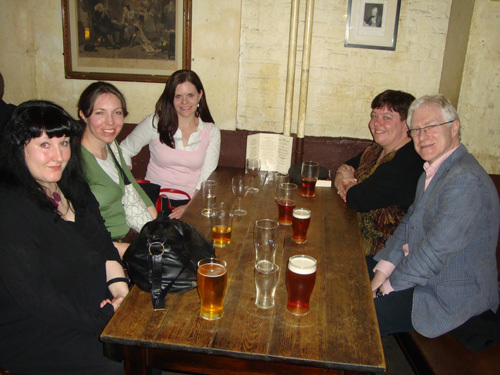 For these reasons, we had a try-out session last Wednesday for a monthly, informal gathering of London Historians, friends and, well, anyone who wanted to come. And so a most excellent bunch turned up and we spent several happy hours talking history and for me personally, getting to know better our members whom I didn’t have the chance to at our launch party last month. 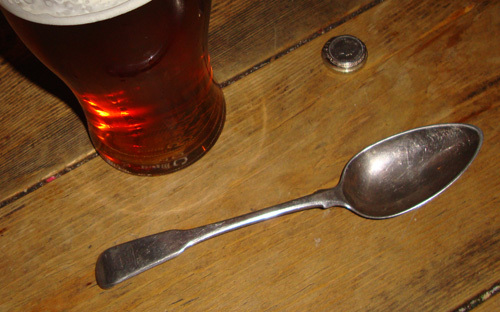 She who knows all about Georgian London, Lucy Inglis, reached into her pocket and wafted an old spoon before placing it on the table. “What is this?” she asked, in best show-and-tell style, “it dates from 1794”. We squinted at the markings and a small, worn engraving of a ship. Turns out it was from the dinner service of Lord Nelson himself, and (the Antiques Roadshow moment), is worth easily in excess of £2000. If I owned such a thing, I would use it with my breakfast cereal every day. So. That was fun. The idea is to do this on the first Wednesday of each month, from 6:30 pm. If you’d like to join us, the next one is 4 May. I shall try not to bore you with why AV is a Bad Idea before you cast your No vote the following day.